Bluetooth headsets are available in different types and the quality of these devices also varies across brands and models. Over the last few years, there have been important developments in mobile devices. 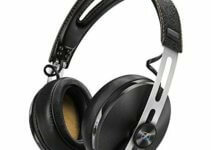 Many features such as playing music, require a good headset to ensure that you get the best sound quality. Other important functions including voice control, will benefit for a solid headset. One of the options that you will find when you look for a Bluetooth headset is the BlueAnt Q3, which is a solid device that offers a clear sound and a long lasting battery life. In order to find out if with the Q3, BlueAnt are setting the bar high when it comes to Bluetooth headsets, we tried it out. Here is what you can expect from it. The Q3’s design is smart and elegant, making it a good option for anyone that is concerned about style even while they are on a call. There is a glossy black model, as well as a black/platinum option adorned with silver sides and buttons. On the headset, you will find a power button, a volume control and a command button for multiple functions. The volume button can be difficult to manage and you may have to move it multiple times before you can adjust it to your needs, which can be annoying. The headset comes with five rubber eartips and a hook that can be removed. Thanks to its lightness and flexible design, the Q3 is very comfortable. However, the device is not as sturdy as it should be and it seems like it won’t resist hard use. The black plastic is weak and bends easily, which is not what you would expect when you pay a price that is between $70 to $99 USD for this headset. When you start using the headset, you will get easy to follow voice instructions to guide you throughout the settings. If you have already used the device, you just need to press the Command button and use your voice to request pairing between the headset and your smartphone. The voice control function is quite practical and you can use it to make calls, activate Siri or Google voice, check the battery status of the headset, as well as the remaining power of your smartphone. The battery life lasts up to 7 hours, even when used for a long call at high volume. It is possible to pair to two phones simultaneously but you can only make a call using the first phone that you connected to the headset. To place a caller on hold, simply keep the Command button pressed and depending on your phone/network, you may also be able to use it for conference calls with up to four people. Android users will have the option of getting their incoming text messages read, thanks to the BlueAnt app that is available in the Google Play Store. You will be able to use the headset within a 6 mt (20 ft) range from your paired mobile phones. The Q3 comes equipped with dual microphones and a technology called Wind Armour which is meant to ensure a high clarity of sound when you make and receive calls. Overall the sound of a call is good and the headset offers a satisfactory noise-blocking function. However, the Q3 doesn’t reach the quality of other headsets and it does not work well if you want to use it to listen to music. Even though the volume reaches a high level, you will still get a weak response, meaning that the Q3 is not ideal for those that want a versatile headset that works for more than just phone calls. BlueAnt Q3 is a good option for standard functions like making and receiving calls and using voice assistant systems to access apps. However, it does not offer any advanced features and it lacks innovation. For the same price you pay for the Q3, you could get state of the art headsets that offers a higher quality of sound, versatility and a resistant design. The Q3 could benefit from an added set of features, a more functional built and a quality of sound that can provide a better experience.